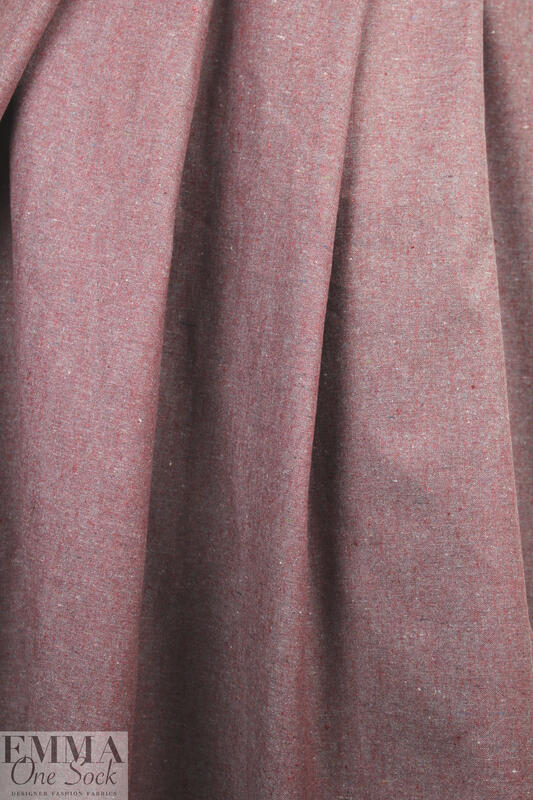 This is a wonderful tweedy woven made from recycled hemp and organic cotton, and it is an opaque, lighter suiting weight with body in the drape. 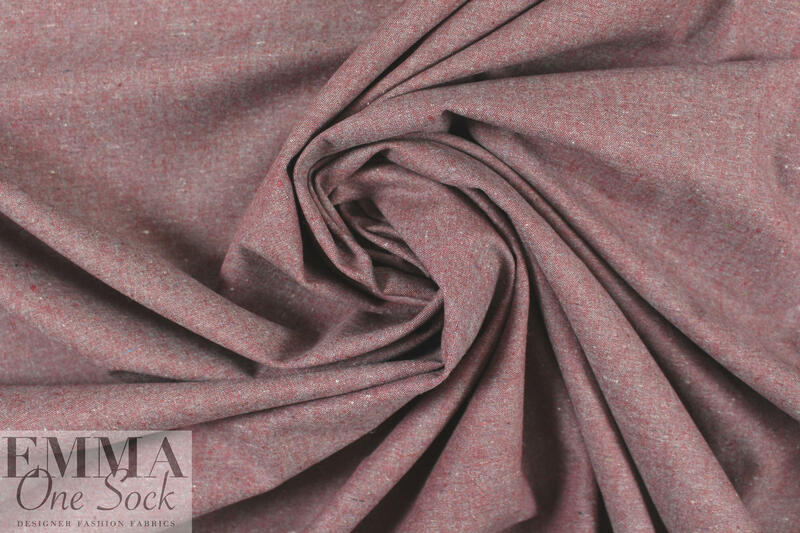 It has a rustic look with a beautiful coloring mix of garnet and gray (PANTONE 17-1511 is the overall appearance). 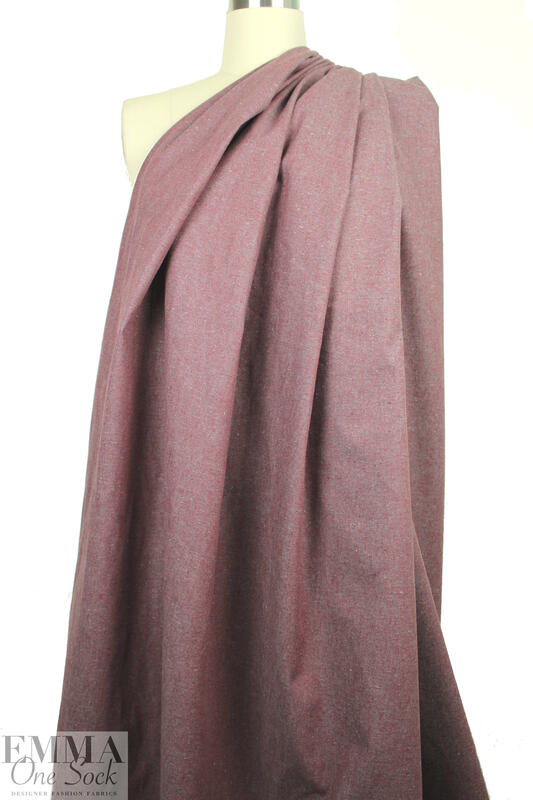 It is perfect for a tailored jacket or topper coat, vest, trousers or pencil skirt. Eco-friendly, sustainable, organic. Manufacturer recommends machine wash, cold, tumble dry low.